Every detail in this beautifully written novel rings true, the characters so solid we almost feel their flesh… Stunning. The kind of book that keeps you reading well past midnight; you grieve when it’s over. Then you start pressing it on friends. Deep, clear and teeming with life. 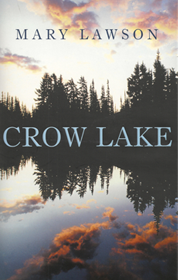 A lot of readers are going to surrender themselves to the magic of Crow Lake…This is the real thing. A tribute to the power of old-fashioned storytelling…Lawson’s narrative gift, voiced in quiet, unselfconscious prose that never distracts from the story, is immense. Darkly unpredictable and compelling… It is a wise book too, saying as much about how we deny our capacity to hurt as about how we deny our ability to help. Full of blossoming insights and emotional acuity… a compelling and serious page-turner. A compelling, slow-burning story of a fractured family in the rural ‘badlands’ of northern Ontario, where hardship is mirrored in the landscape and tragedy is never far away. 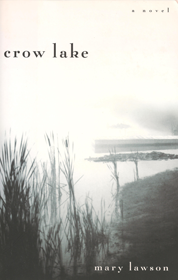 Lawson delivers a potent combination of powerful character writing and gorgeous description of the land. Her sense of pace and timing is impeccable throughout…This is a vibrant and resonant novel by a talented writer whose lyrical, evocative writing invites comparisons to Rick Bass and Richard Ford. A remarkable novel, utterly gripping… I read it in a single sitting, then I read it again, just for the pleasure of it. A simple and heartfelt account that conveys an astonishing intensity of emotion, almost Proustian in its sense of loss and regret. A touching meditation on the power of loyalty and loss, on the ways in which we pay our debts and settle old scores, and on what it means to love, to accept, to succeed – and to negotiate fate’s obstacle courses. Every so often, a novel is so beautifully structured and rivetingly told you want to collar everyone you see and tell them to read it. 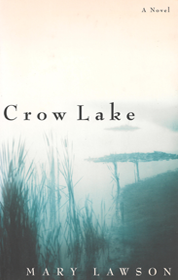 Mary Lawson’s Crow Lake is just such a story.